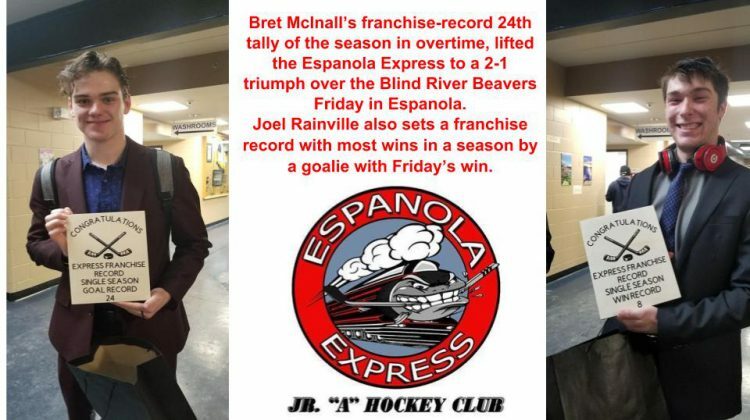 Bret McInall’s franchise-record 24th tally of the season in overtime, lifted the Espanola Express to a 2-1 triumph over the Blind River Beavers Friday in Espanola. Joel Rainville also sets a franchise record with most wins in a season by a goalie for the Express with Friday’s win. 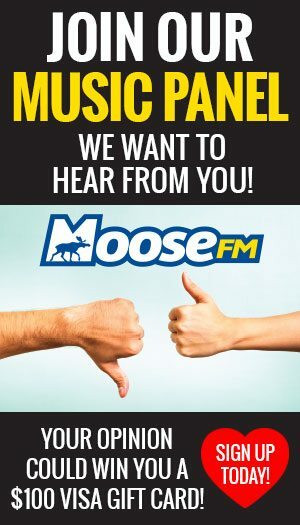 Then, the Powassan Voodoos won handily over the Express 7-3 Saturday. But, the Express capped off their weekend beating the Elliot Lake Wildcats 2-1. The Rayside-Balfour Canadians shut out the Wildcats 6-0 Saturday. The league also announced the make-up game between the Wildcats and Beavers will be tomorrow evening at the Centennial Arena in Elliot Lake.